Originally from Maple Grove, Rachel went to school at Boston University. From there, she spent four years at the Mayo Graduate School, receiving her Ph.D.
Having a successful academic run wasn't the end to Rachel's accomplishments. Next up on her list was to find a permanent professor position. Rachel longed to get back to her Minnesota roots, so she started to do some searching for the right area to settle. Once finding an opportunity in Morris, she never looked back. Currently, Rachel is an assistant professor of biology at the University of Minnesota, Morris (UM-Morris). She has worked on campus for the past five years. For her work, Rachel teaches classes spanning from freshman to seniors, involving lecture and lab academics. She and her students' studies revolve around the immune system, and how cancer research is associated with it. Rachel loves how involved the community of Morris is with the campus. She says although the campus is small, it is "big at heart with a strong connection to Morris." Being a professor isn't the only thing about UM-Morris, for which Rachel has been grateful. Rachel met Josh Johnson, a fellow professor at the university. After a few years of dating, they are happily married. 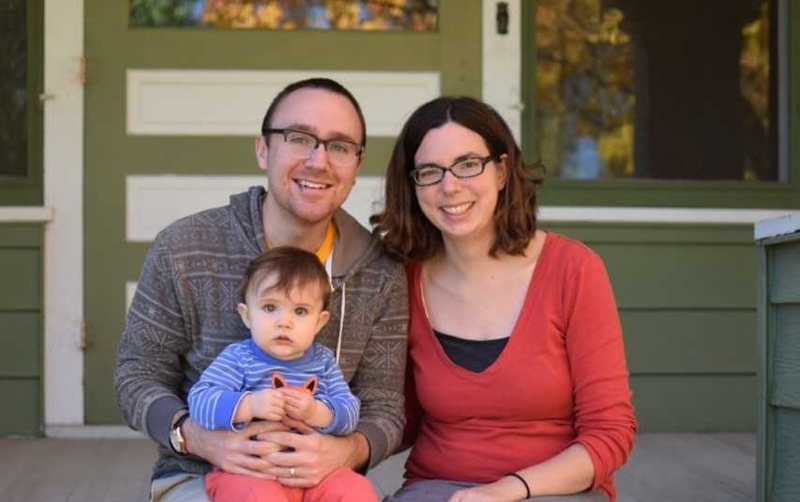 Rachel and Josh have a one-and-a-half-year-old daughter named Agnes. While raising a child is busy enough, the family has been able to enjoy certain features of Morris. These include the Common Cup Coffeehouse, shopping downtown, and the many parks in town. On top of everything else, Rachel also finds time to be engaged in the community, in terms of organizational work. She is currently a board member for the Friends of the Morris Public Library. To Rachel, the phrase Live Wide Open means having the ability to "connect with others and getting to know your community." Rachel has noticed that going to the grocery store has become a "social event," as she has settled into the Morris community. Rachel also loves how you can find your niche in a small town like Morris. "You're not anonymous, it's easier to specialize and get involved." Rachel Johnson has proven that she can be successful in many different facets of life, including choosing the place to call home.